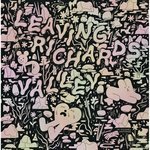 With this new work – over six years in the making – Joe Sacco returns to the people and the land that launched him to the forefront of comics journalism – a position which he has held ever since. Few indeed are the number of people who can lay claim to being the top in their field for as long as Sacco has his, and with Footnotes in Gaza, he extends his lead even further, to the point where his position as being the single most important founder of the field/genre/school of comics journalism is now well nigh unassailable, and of that branch of journalism associated with reporting on international events of import, he is in a league of his own. Footnotes in Gaza is the major work of a mature master, fully confident of his abilities and coolly in control of his talents. Taking a page from the Art Spiegelman playbook and extending it to address his own concerns, Sacco deftly weaves a detailed account of his own personal quest – in the here and now (or at least what was the here and now at the time, 2003, when he carried out his research) – to unearth the details of two specific historical events that took place in Gaza in November of 1956, by interviewing every possible living participant, with his own depiction of the interviewees' recollections. These events are, as the title baldly states, considered mere footnotes to the wide world outside of Gaza, but to the people who lived through them, they are traumas undimmed by the passage of half a century. 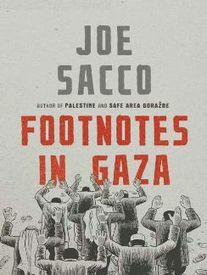 If ever the devil was in the details, it is here, and the details that are dredged up by Sacco's research into this historical "footnote" are certain to engender strong opinions on both sides of the horrific divide that is addressed by the central events of this tale. To readers not directly involved in these events, however, there is the chance to delve into both how the past is ever present and, crucially, how the present can be and is projected into the past. In addition, readers are offered the opportunity to contemplate how "seeing" an event recapitulated in visual images differs in both kind and degree from merely reading a description of the same event. These, and other, interactions of the past and present, brought to light through reportorial diligence and mediated here by both art and memory, form the core of this fascinating and powerful work.